The aim of the course is to develop the analytic skills of PhD students using conversation analysis (CA) in learning and professional practices in kindergarten, school or related settings. Some familiarity with conversation analysis / interaction analysis and data collection would be an advantage. Credits: Participation with essay-submission gives 5 credits. Participation without essay-submission gives 1 credit. The course consists of four days. How do companions help a person with learning disability communicate with a doctor? When people with a learning disability (such as Down syndrome or autism) go to see their doctor, they are usually accompanied by a family member, a carer or a community nurse. The companions are there to explain what the doctor says, and to help the patient answer questions or raise their worries. But until now, we had no clear idea about how they do those things. This is a report based on new video records of 25 health-check consultations in a large multi-ethnic city in the UK. We found that companions' interventions in patients' answers fell along a gradient of low to high entitlement: - from merely hinting at the right answer, to simply taking over and giving the answer themselves. Our conclusion is that companions are faced with a dilemma: either they encroach on the patient's rights to answer on their own behalf, or they intervene to help the needs of the medical practitioner. It is a sensitive one, which companions solve in different ways, some of which lead to resistance from the patient. I hope we will have time to discuss some of the issues about independence and responsibility that these findings raise. CARM in Teacher Education: CAiTE! CAiTE is the Conversation Analytic innovation for Teacher Education, a collaborative research project between University of Southeastern Norway and Loughborough University. In this project we develop communication training based on video-recorded interactions between teachers and students in Norwegian secondary schools. Using CARM - the Conversation Analytic Role-play Method - we turn conversation analytic findings into ‘trainables’ and implement and evaluate these in workshops for teacher students. In this talk I present the directions of our research, focussing on the initialisation of discussion in student groups, and on how the early stages of the teacher’s feedback is consequential for how the group discussion unfolds. I contextualise the relevant examples within the framework of CARM and showcase the development of CARM trainables as a work in progress. In this session I will introduce how we approach video data of naturally occurring ordinary activities by drawing upon membership categorisation analysis and sequence organisation. The data will be drawn from two settings: service encounters between staff and customers, and drivers and passengers talking during a journey. The ambition is to build a sensitivity to how spatial and visual embodied aspects of participants’ activities are accomplished in combination with their talk. The session will consider how social categories are transformed as encounters unfold; how joint action progresses; the significance of the environment and of movement through the environment. In many institutions, assessing past events or performance, is part and parcel of the accomplishment of institutional tasks and roles. This is certainly the case in educational contexts, where assessment of learner and school performance has become an integral aspect of accountability systems, and in business contexts, where new public management ideals have put pressure on organizations to implement systems for measuring organizational performance. In this talk, I will focus on how the scientific study of a particular discursive practice, the reporting and enactment of talk, can constribute to an enhanced understanding professional assessment practices across institutional contexts, such as in teachers’ collegial assessment work, in performance appraisal interviews (PAIs) in organizations, in classrooms, and in university seminars. I will discuss sequential contexts in which reported speech actions are part of broader assessment activities, but also, work as assessments themselves (cf. Holt, 2007). 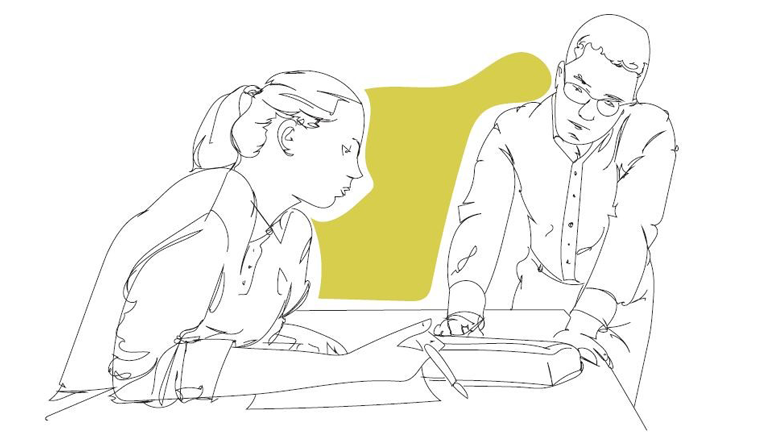 Illustrations are drawn mainly from video-recordings of English teachers’ collaborative grading learner performance in L2 speaking tests (Sandlund & Sundqvist, in press), and from annual PAIs in medium-sized private organizations (Sandlund, 2014). The talk will also address the role of reported speech in displaying professional competence and doing professional teaching and learning. It is argued that the pervasiveness of talk about the talk of others in everyday and institutional interaction warrants further examination of the various ‘universal’ and context-specific interactional work accomplished by reported speech in relation to professional practice. Holt, E. (2007) ‘I’m eyeing your chop up mind’: reporting and enacting. In Holt E and Clift R (eds). Reporting talk (pp. 47-80). Cambridge: Cambridge University Press. Sandlund, E., & Sundqvist, P. (in press). Displaying versus assessing interactional competence. In R. Salaberry & S. Kunitz (Eds. ), Teaching and testing L2 interactional competence: Bridging theory and practice. Oxon and New York, NY: Routledge. Sandlund, E. (2014). Prescribing conduct: Enactments of talk or thought in advice-giving sequences. Discourse Studies, 16 (5), 645-666. A core clinical competence for health care professional is to detect and respond to the patient´s health related needs and concerns. Detecting and relating to concerns in the form of troubling negative emotions such as anger, fear and sadness is difficult especially as these concerns mostly are communicated as hints and not clear needs and concerns. What constitutes an empathic response needs exploration. To establish common research criteria to be used in large samples in different settings suitable for statistical analysis, an international group of communication researchers started to develop a common coding system for identifying different aspects of emotional communication and its role in the communication process. The system is called the Verona Coding Definitions for Emotional Sequences (VR-CoDES) and includes two parts: a) VR-CoDES Cues and Concerns and b) VR-CoDES Provider responses. In this session the system will be presented briefly, and examples and empirical results will be discussed in a perspective of person-centred communication theory. Eide, Hilde, Linda Hafskjold, Vibeke Sundling and Sandra van Dulmen. Person-centred communication research - systematic observation of real life practice. In Person-centred Healthcare Research (Eds. B. McCormack, S. van Dulmen, H. Eide, K. Skovdahl & T. Eide). London: Wiley Blackwell 2017. Hafskjold, L., Eide, T., Holmström, I. K., Sundling, V., van Dulmen, S., & Eide, H. (2016). Older persons’ worries expressed during home care visits: Exploring the content of cues and concerns identified by the Verona coding definitions of emotional sequence. Resubmitted. The nearest airport is Torp Sandefjord airport. It is positioned with a 20 minutes distance from Tønsberg. Alternatively, you may fly to Oslo Airport Gardemoen and go by train from Oslo airport station to Tønsberg. The train journey takes about 2 hours. We recommend Quality Hotel Tønsberg. It is close to the train station, and is close to the venue for the dinner in the afternoon. Use the code "USN-guest 2019" when booking at Quality Hotel Tønsberg. How to get to Campus Vestfold. Are you admited to a PhD-programme? If you are employed at USN and not joining a PhD program, how much working recourses have you received to complete the course?